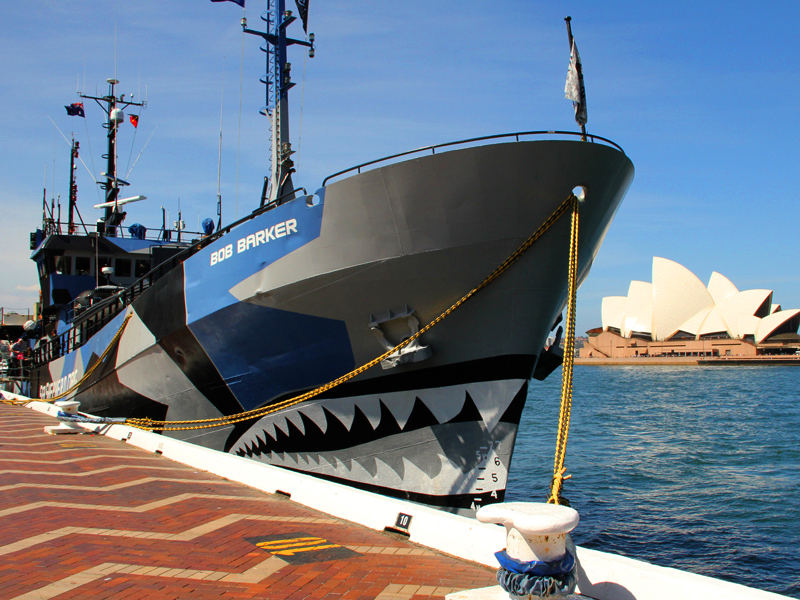 I was lucky enough to get on board one of Sea Shepherd’s vessels when it was in Sydney recently. This is the ‘Bob Barker’ one of three boats that will travel down to Antarctica this summer to chase the Japanese whaling fleet as they hunt for minke whales under the guise of ‘research’. Marine activist group Sea Shepherd (a bit like Greenpeace but much more radical) have been down to the Southern Ocean whale sanctuary to harass the whalers for the past seven years. The Australian government is opposed to the whaling activity and agrees that it’s illegal, but doesn’t seem to do much about it. We got a tour around the boat, met the crew and captain Paul Watson and travelled with them as they brought the ship from the inner harbour to Circular Quay. Here’s a video we made. 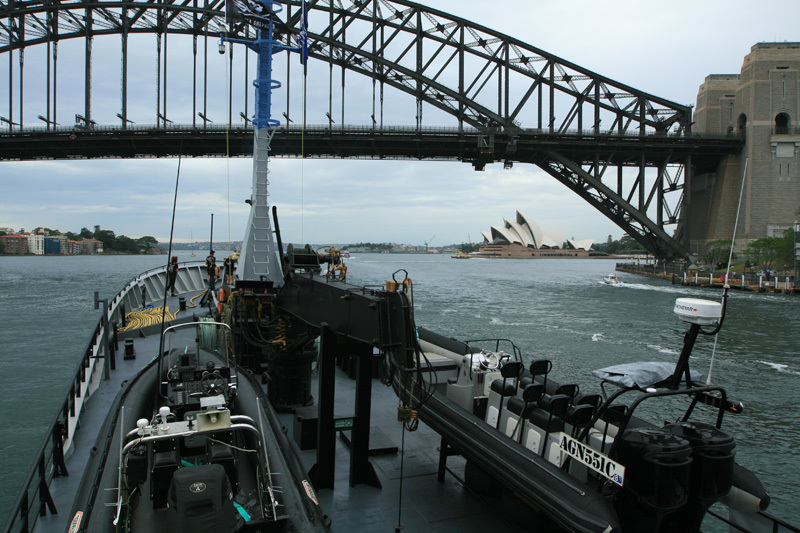 This entry was posted in Ocean, Photography, Wildlife and tagged Conservation, Sea Shepherd, Sydney Harbour, Whales. Bookmark the permalink.